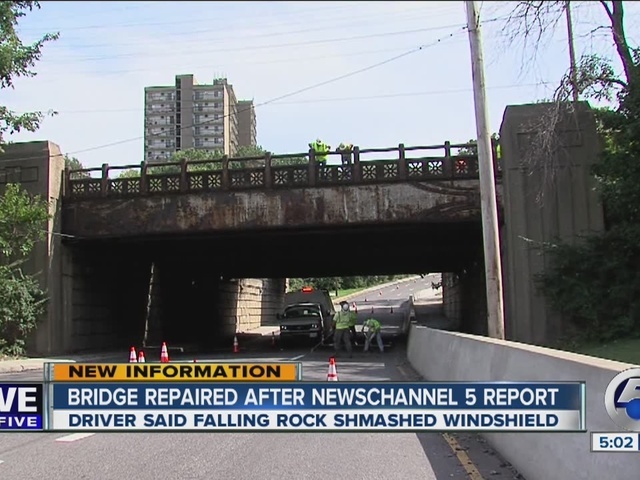 Repairs are now finished on a busy Cleveland bridge after newsnet5.com exposed safety dangers. Rocks falling from a train trestle above Martin Luther King Jr. Drive near University Circle smashed Mary K. Robinson’s car on Wednesday as she drove to work. After newsnet5.com reported the incident on Thursday, crews with the city of Cleveland and CSX made repairs the very next day. A city crew reduced traffic to one lane while CSX workers installed steel plates over multiple holes that had allowed rocks to fall down onto the street below. 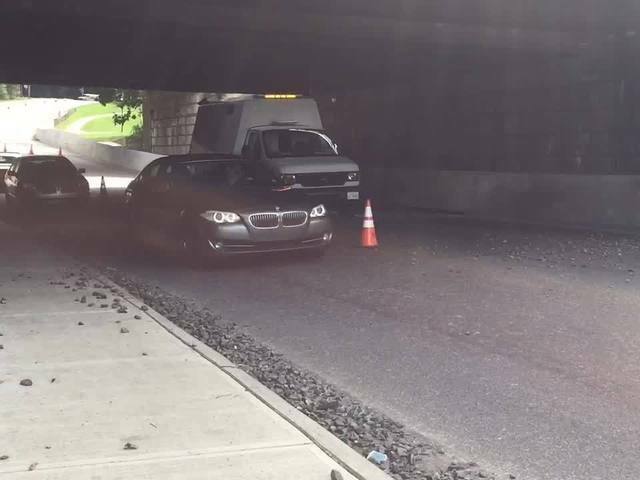 The underpass includes three lanes of traffic, a sidewalk and a bike trail, which as of Thursday, was littered with rocks. “Dangerous for a bike rider because see it’s a hill, you’re going pretty fast, you put on brakes, you know, you will slide and maybe hit that wall or something,” bicyclist Jim Butler said. A CSX spokesperson said the bridge was last inspected in January and that the company was not aware of any issues until newsnet5.com called them. The bridge has now been repaired. The rocks are cleared from the street and all lanes are open to traffic. Anyone who would like to report a safety concern can call 1-877-TELL-CSX.